I have several JotForm forms up and running with great success. But one of them -- https://form.jotform.co/50807993950870 -- just doesn't seem to load today. Not in the embedded version (http://www.contradance.org/html/directory.php) or when I paste the URL into a browser. When I paste the form's URL (https://form.jotform.co/50807993950870) into a browser I get an error message: "This site can't be reached. 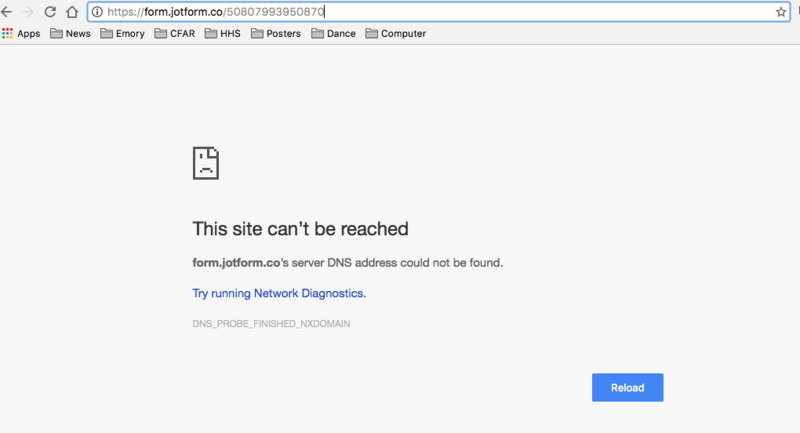 form.jotform.co's server DNS could not be found"
This is NOT happening to any of my other forms. Just this one. The form link and website URL where you embedded the form is working properly. 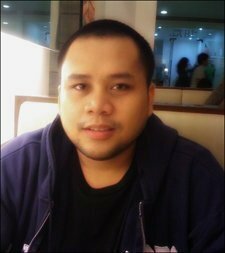 I was able to load the website URL with no issue. Please check your internet connection and reset it or try another ISP provider to view the form. I will also clear your form cache and try another internet browser. If the issue persists, please let us know so we can investigate it further. Thank you. Sigh. Thanks but that is frustrating because it clearly IS working for you, but is just as clearly not working for me. Even though every other JotForm that I currently have embedded in different web pages is currently working just fine, when I try to go to the exact same page that your video is showing above, I get nada. See the attached image. I've tried restarting my computer but I don't think that it is a network issue because I am not having any trouble loading my other JotForms (see, for example, http://www.cfar.emory.edu/network/register/jan.php). Oh well. 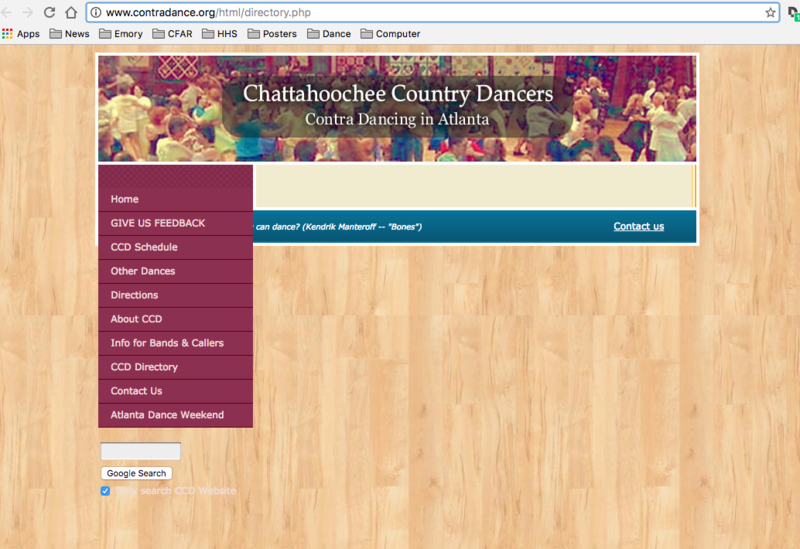 I understand that only the website URL (http://www.contradance.org/html/directory.php) is not working. However, all your website URL where other forms embedded is working fine. Please try re-embedding your form using the iFrame method. Here's the guide: https://www.jotform.com/help/148-Getting-the-form-iFrame-code.